STATISTICS, PRINCIPLES AND METHODS, with G. K. Bhattacharyya, (1984), (7th edition 2014), John Wiley and Sons, New York. 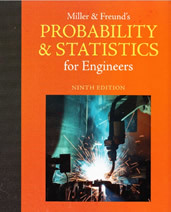 PROBABILITY AND STATISTICS FOR ENGINEERS, with I. Miller and J. Freund. (1990 fourth edition, 1994, 2000,2005,2009, 2016 ninth edition ) Pearson, New Jersey. 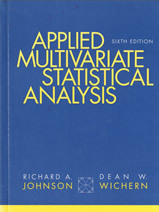 APPLIED MULTIVARIATE STATISTICAL ANALYSIS, with D. Wichern. 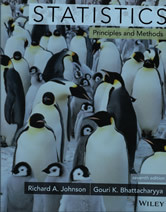 (1982) (6th edition 2007), Prentice Hall, New Jersey. 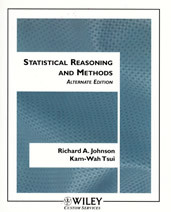 STATISTICAL REASONING AND METHODS, with K. Tsui,(1998), John Wiley and Sons, New York. STATISTICAL CONCEPTS AND METHODS, with G. K. Bhattacharyya. (1977) John Wiley and Sons, New York. BUSINESS STATISTICS - DECISION MAKING WITH DATA, with D. Wichern (1997), John Wiley and Sons, New York.